Michael Jones-Correa is Professor of Government at Cornell University and Robert J. Katz Chair of the Department of Government. He is a co-author of Latinos in the New Millennium (Cambridge, 2012) and Latino Lives in America: Making It Home (Temple, 2010), the author of Between Two Nations: The Political Predicament of Latinos in New York City (Cornell, 1998), the editor of Governing American Cities: Inter-Ethnic Coalitions, Competition and Conflict (Russell Sage Foundation, 2001) and co-editor of Outsiders No More? Models of Immigrant Political Incorporation (Oxford 2013). 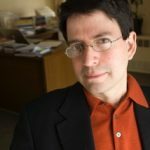 His work has been published in the American Political Science Review, the American Journal of Political Science and the Social Science Quarterly, among other journals. Jones-Correa is a co-PI of the 2006 Latino National Survey, a national state-stratified survey of Latinos in the United States; and the Philadelphia-Atlanta Project, a collaborative research project on contact, trust and civic participation among immigrant and native-born residents of Atlanta and Philadelphia. His research has received support from the Carnegie, Ford, MacArthur, Robert Wood Johnson, Russell Sage and National Science foundations, among others. Jones-Correa was the team leader and ISS fellow for the 2010-2013 theme project “Immigration: Settlement, Immigration and Membership,” at the Institute for the Social Sciences at Cornell. Jones-Correa has been a visiting fellow at the Russell Sage Foundation 1998-1999, the Woodrow Wilson International Center for Scholars 2003-2004, and the Center for the Study of Democratic Politics at Princeton University in 2009-2010. In 2004-2005 he served on the Committee on the Redesign of US Naturalization Test for the National Academy of Sciences, in 2009 was elected as vice president of the American Political Science Association, and was appointed from 2010-2013 to the American National Election Studies (ANES) Board of Overseers.